The Children’s Center at the Park Hill United Methodist Church (PHUMC) is a treasured community institution. Our center strives to provide high quality services to local families in need of preschool and childcare options. We were established in 1979 by the Park Hill United Methodist Church to fill a growing need in the area for half day, full-day and after school care options. Our non-profit organization was created as an outreach program, with a non-denominational, developmentally appropriate curriculum and philosophy. Children of all religious and cultural backgrounds are welcome. 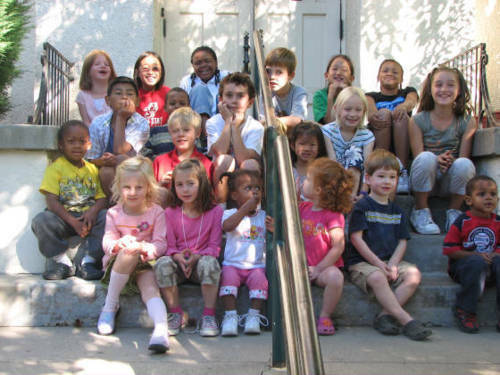 For more than 36 years, the Children’s Center has served young families in our community by providing options that support the rich tradition of diversity and the values of our neighborhood. We understand that choosing a caregiver for your child(ren) is an enormous decision for families. To that end, we are available for touring Monday – Thursday between 10am and 2pm (BY APPOINTMENT ONLY). Please call to set up an appointment. It is our goal to answer all questions and provide a clear understanding of our program. Additionally, we have a wide assortment of informational documents available to begin the wait list and/or enrollment process. Parents, children, friends and extended family are all welcome to visit our facility and spend as much time as desired gathering information, observing and playing with our children and staff. Parking is available on either Forest Street or on Glencoe Street in the Church parking lot.